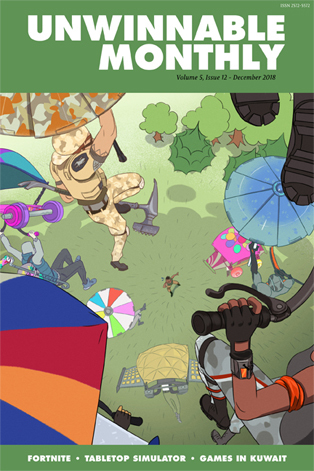 This column is a reprint from Unwinnable Monthly #110. If you like what you see, grab the magazine for less than ten dollars, or subscribe and get all future magazines for half price. What does coming to grips with the threat of climate change feel like? In 2017’s First Reformed, director Paul Schrader approaches this question through a depiction of the life of Reverend Ernst Toller. The film opens with Toller responding to a request from a patron, Mary, to counsel her husband, Michael, who believes it is immoral to bring a child into a world headed for apocalyptic climate change and wants Mary to have an abortion. Toller meets with Michael and takes his concerns seriously, and both agree to further counseling sessions, but Michael commits suicide before one of these meetings. Shortly afterward, Toller decides to research Michael’s claims about climate change to better understand the point of view that may have influenced his decision. As Toller begins to investigate these concerns, he finds himself sympathizing with Michael’s perspective. Eventually he determines that he must act on his newfound environmentalist principles and decides to make use of a suicide vest that Michael crafted but didn’t use. Toller plans to use the vest at a ceremony celebrating his church’s 250th anniversary, where local business leaders (and major industrial polluters) will be in attendance, hoping that the action will draw attention to the severity of the climate crisis. First Reformed eventually avoids that scenario, however, and resolves its tension through a romantic subplot involving Toller and Mary. And while environmental concerns are major themes in Schrader’s film, the resolution of Toller and Mary’s relationship reveals the extent to which the film is principally focused on Toller’s radicalization as a personal, not political, issue. His personal history and inner struggles create the dramatic momentum as the audience gradually learns of his failed relationships, his experiences with alcoholism, a possible cancer diagnosis and a son lost to the Iraq War. Alongside this is a series of conversations Toller has throughout the film about the political climate and the ways in which contemporary political discourse can push people toward extreme views and behaviors. This combination of political commentary and character study makes for compelling viewing, but it evades the questions of climate change that initially appear to be the film’s focus. Instead, First Reformed considers the kinds of stresses and circumstances that might push someone to adopt a radical stance; the specific nature of that stance (in this case, an environmental one) is not as central to the film’s contemplations. The film’s ending asserts this, as it reorients attention away from Toller’s seemingly imminent (but now averted) suicide and onto his yearning for intimacy with Mary. However genuine Toller’s sympathy for environmental causes might be, the film displays more investment in his personal crisis and the possibility that the repression of his own emotional development placed him in a position to be radicalized. First Reformed is ultimately solipsistic, interested less in ecological catastrophe than in the interior struggle of Toller. 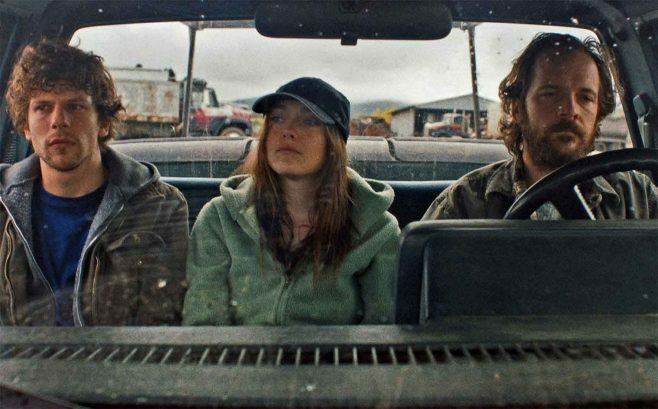 By contrast, Night Moves, directed by Kelly Reichardt and released in 2013, presents a story with a similar concern for the personal toll of environmental radicalism, but it pursues that line of inquiry differently than First Reformed. While First Reformed depicts the inner crisis of someone on the precipice of committing an act of political violence, in Night Moves, the protagonists cross the threshold of radical action within the first half of the film. At the story’s opening, all three main characters are already resolved to destroy a local dam as a demonstration against irresponsible development. Everyone in the group has a history of environmental activism and sees this as a logical next step. There is little hesitation or personal turmoil as they plan and prepare their action. By the midpoint of the film, they’ve brought down the dam and are attending to the plans they’ve made to escape scrutiny from the authorities. The fact that the characters in Night Moves follow through with their plans shifts its tone away from that of the more self-contained First Reformed. In the days following the dam’s demolition, news reports reveal the possibility of unintended casualties from the floodwater released. The idea that their actions may have been responsible for someone’s death fractures the relationships of those in the group, as some perceive a need to come forward with information while others insist on remaining hidden. This debate compounds the previously-existing anxiety surrounding the potential for being caught. Over the course of rest of the film, Reichardt depicts the deterioration of the connections between the activists, as grief, guilt and suspicion overstress the bonds they once shared. So while Night Moves, like First Reformed, is concerned about the effects of activism and political commitment on a person, it also expands the scope of those concerns to include the possible impacts of radical political engagement on a relationship and a community. Reichardt’s film speculates on the implications of following a political philosophy so thoroughly that it supersedes other matters, including safety, livelihood and responsibility toward others. And by placing a radical act of political expression at the core of its story, Night Moves asks its audience to consider climate change, and how it might be combated, in a more immediate sense than First Reformed does. Viewers of Night Moves will likely ask themselves if they agree with the protagonists’ actions or if they find them too extreme – and if those same viewers agree with the severity of the environmental crisis, they may also find themselves wondering what alternative steps might be taken to amend it. The film, however, diverts from these themes somewhat in its last act, which focuses more narrowly on a heightening of the protagonists’ paranoia that eventually leads to shocking interpersonal violence. In these moments, Night Moves more resembles First Reformed than in its opening act. This is not in itself a problem, though it shifts the thematic momentum of the narrative. There is an alternative reading of both films here, one which argues that these films, each in their own way, view environmentalism as superficial or harmful somehow. First Reformed sees Toller filling a void in his life with climate change anxiety, and his greatest relief arrives with Mary’s embrace. In Night Moves, one man’s inflexible devotion to his environmentalist principles enables his justification of the murder of a friend. In the process, the film might suggest that his politics corrupted him, or that they were always a cover for or tangential to his own violent motivations. I am not sure either film intends to be this ungenerous toward environmentalism as a philosophy, but they both demonstrate the difficulties of trying to balance concerns of ecological transformation with the personal lives of those invested in responding to it. These are, not coincidentally, the same difficulties facing us today.